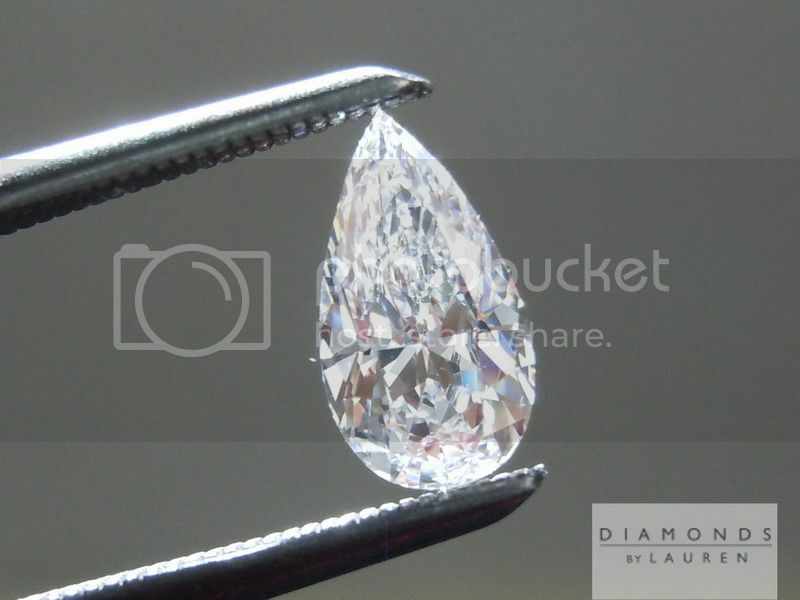 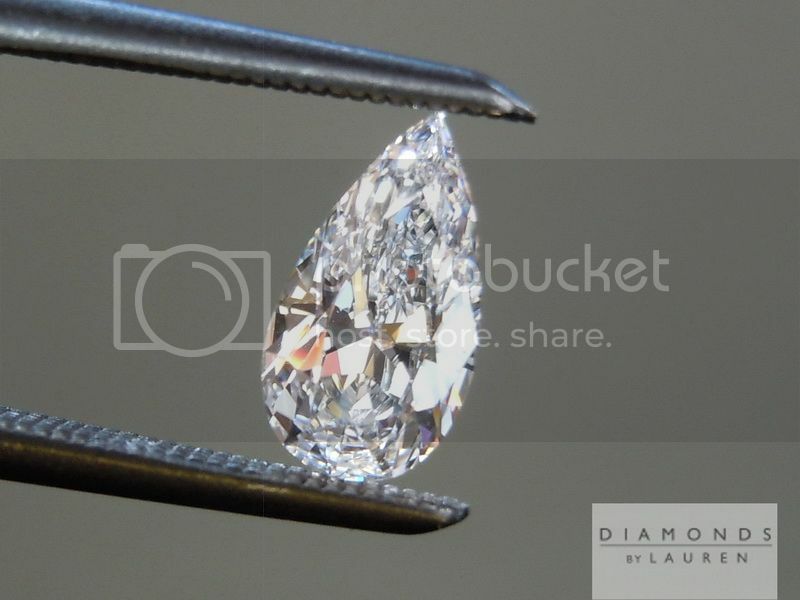 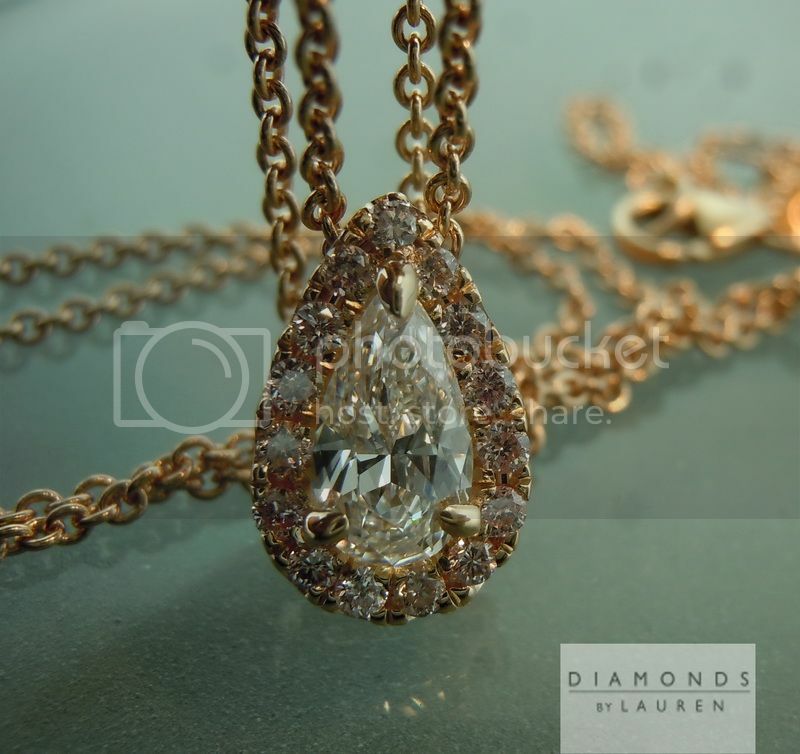 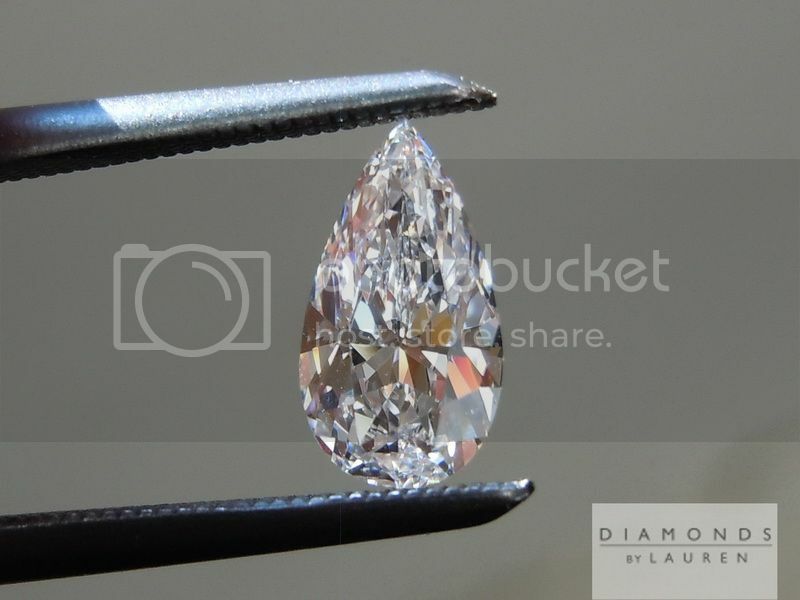 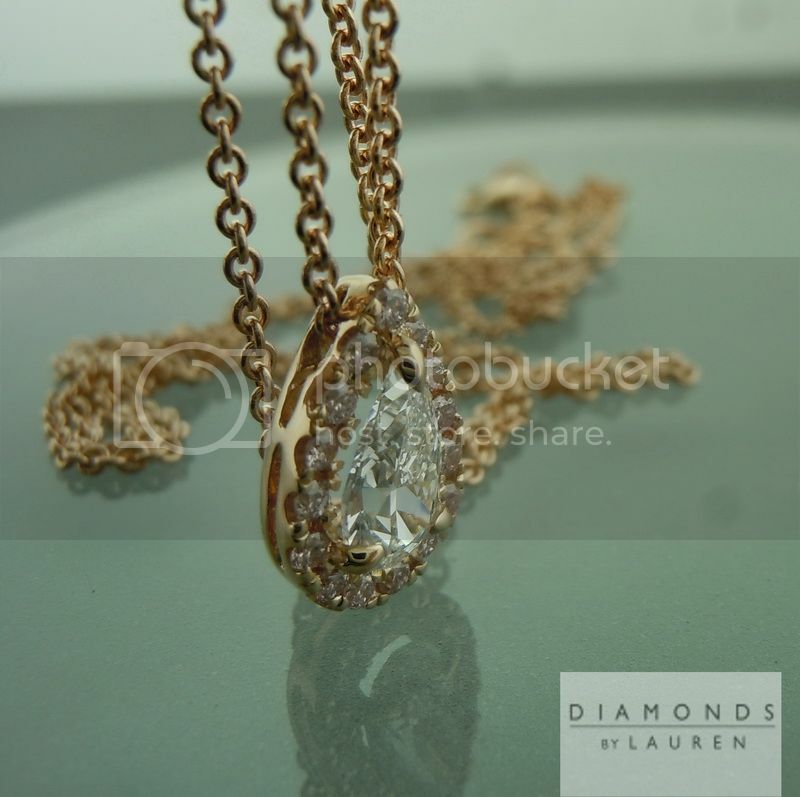 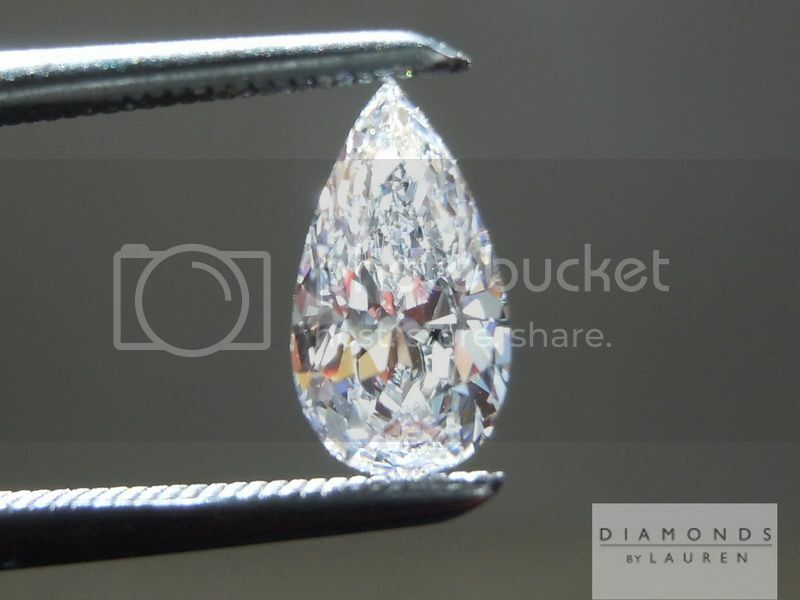 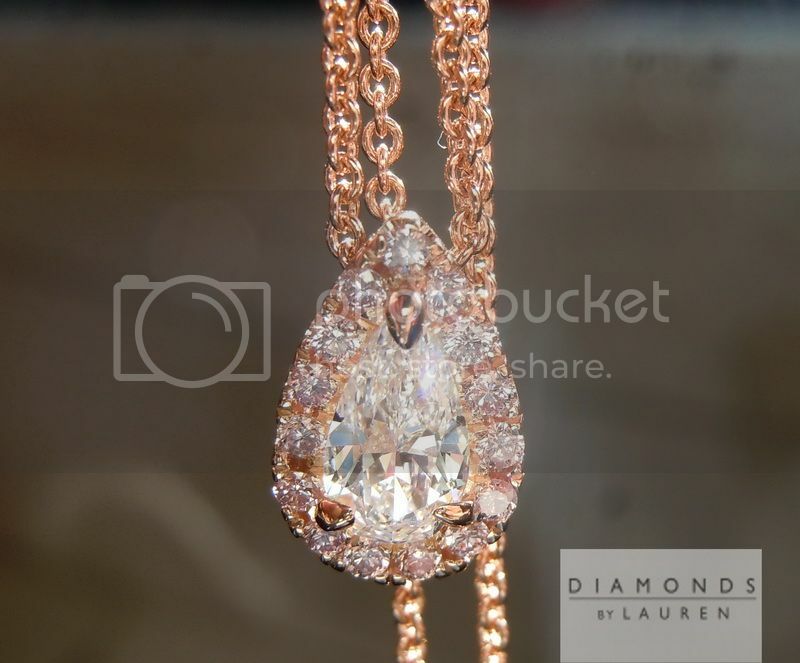 Here is a lovely teardrop pear shaped diamond. 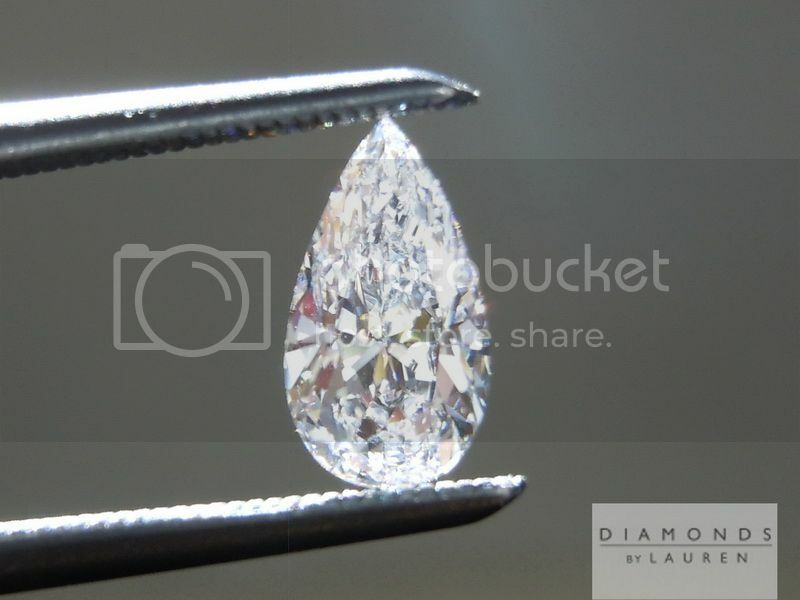 It is a long droopy pear shape - beautifully organic. 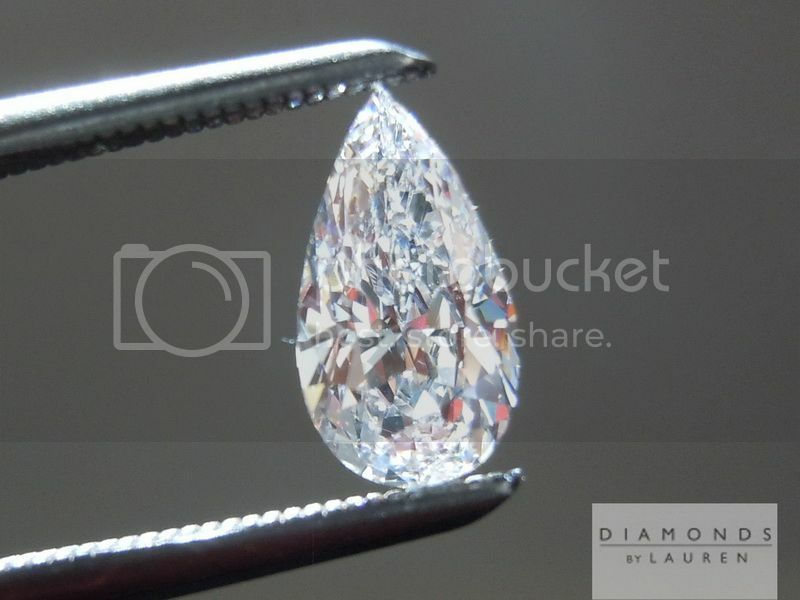 The grade, D color with the VVS1 clarity, it is just one click shy of the ultimate grade, D Internally Flawless. 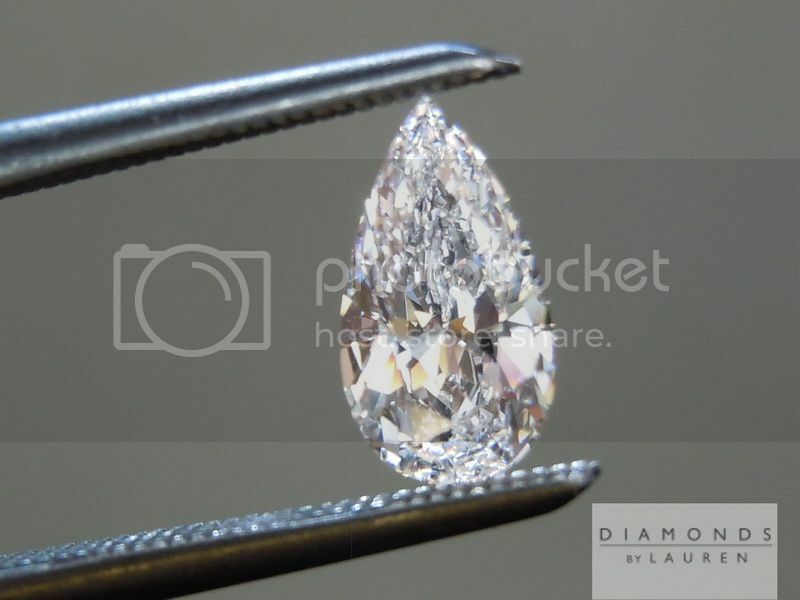 The sparkle and cut characteristics are beautiful. 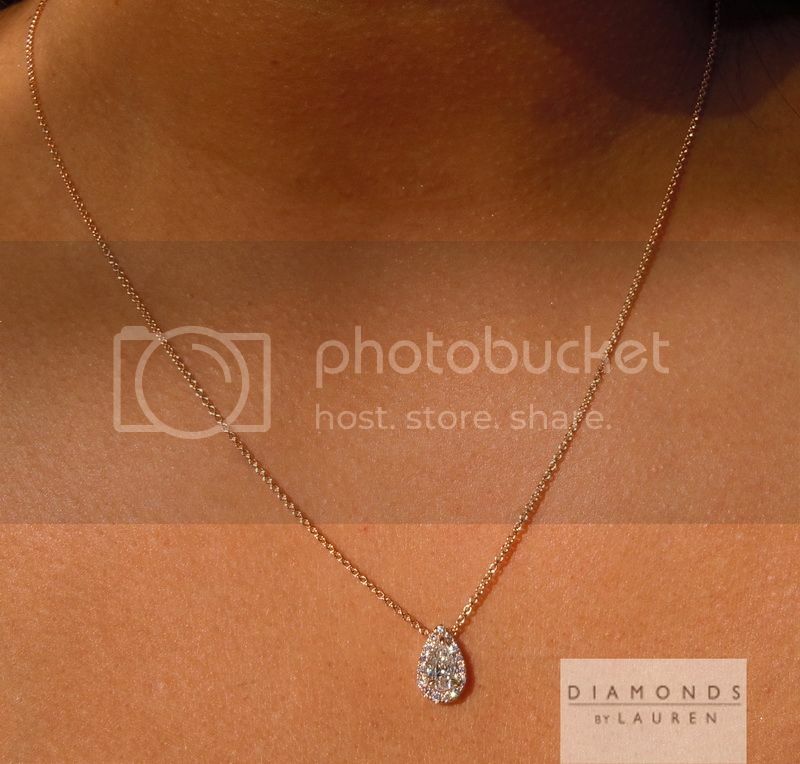 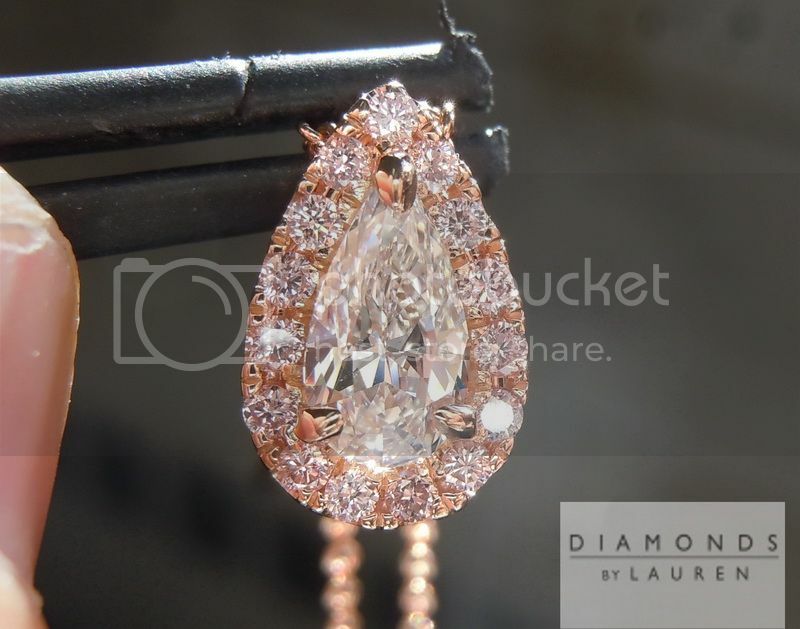 If you are a pear shape lover, this diamond is for you. 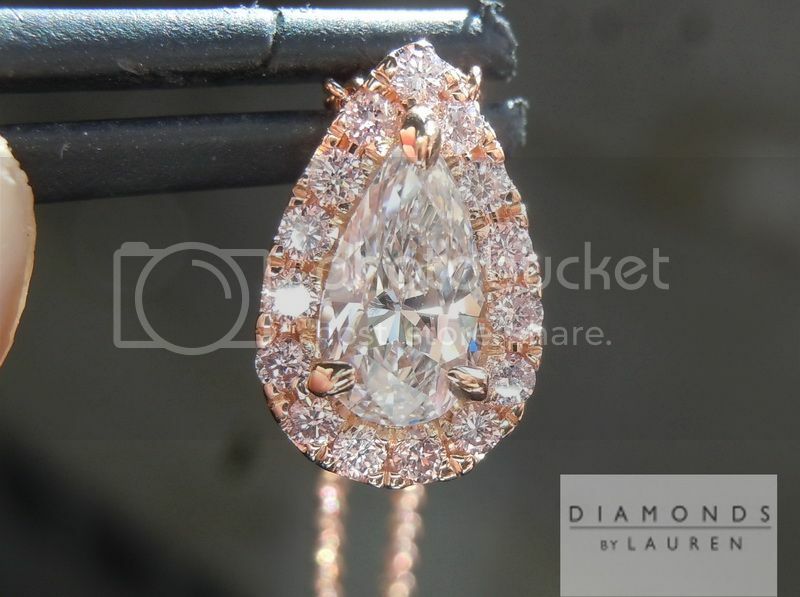 We found a very well priced parcel of natural pinks for this stone. 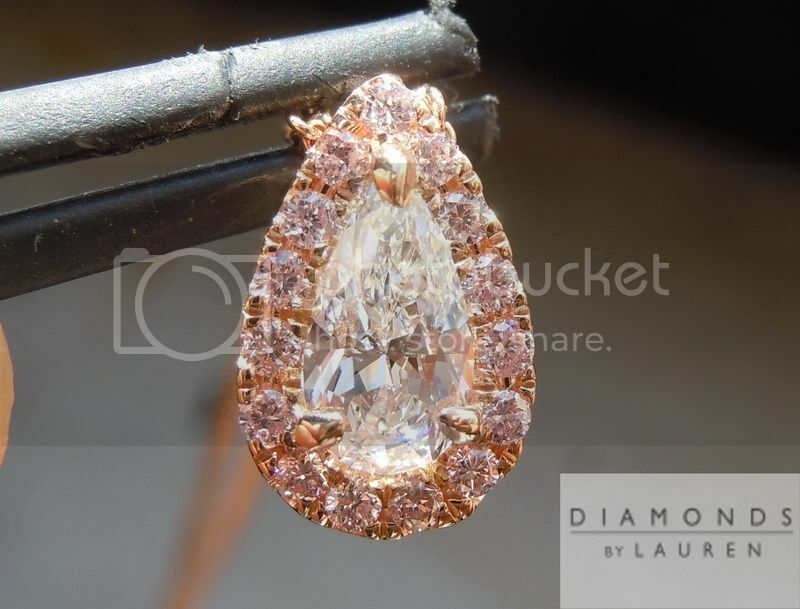 It's so cool how the pink gold pink diamond reflect into the D color. 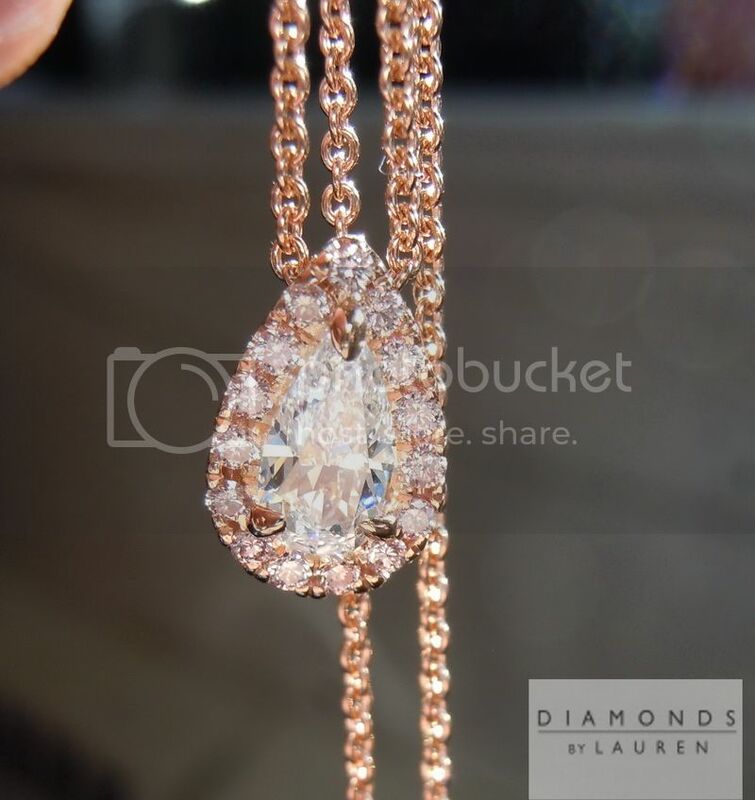 It's a phenomenal look in person.